Click once on the large photo on the right. It will become even larger. Forward and back symbols are on either side for navigation. To exit this display, click the “X” at the upper right of the window. Small thumbnail photos are on the left side and a large image is on the right. The thumbnails represent "pages." You can flip from page to page by click/holding the fraction below the thumbnails. If you click on a thumbnail it will appear as a large image on the right. Use < and > symbols on either side of the large image to move forward or back one image at a time. Large photos can be easily identified by the numbers below them; e.g., “6/93” means number 6 of 93 photos. Notice the down arrow near the lower right corner of the large right-hand photo. Click only once to download this image. These downloads of full-sized jpg images are free. You DO NOT HAVE TO purchase any photos because this site allows for free downloading by following instructions in the paragraph above. You can take what you wish at no fee. IF YOU DO WANT TO purchase prints from this site you can easily take advantage of that function by clicking on the green "Buy" button at the top right of any large image. The lab is excellent. They will mail prints to you in about a week. Please email harvey@tillis.com or call 773-276-9320. 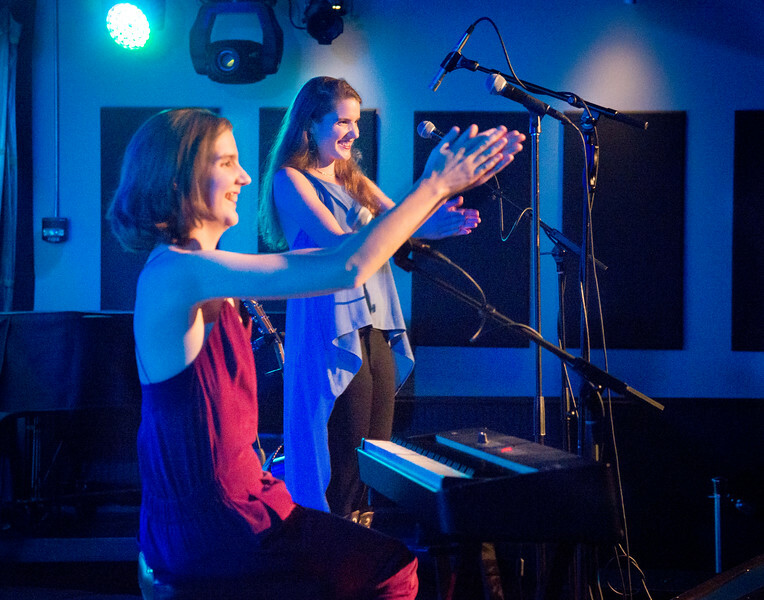 Maeve & Quinn Perform at SPACE in Evanston, IL.